Pangeanic has sponsored JABA’s first Partners Summit in Porto together with other translation technology providers, including machine translation and translation management translation. Several leading translation companies in Europe, translation technology vendors and representatives from translation organizations such as ELIA and GALA met in Porto (Portugal) last week to review the needs of the European translation industry, exchange views and experiences and best practices, agree on route maps together and press forward toward further collaboration. Pangeanic was one of the sponsors, and was also invited to talk on Day 2 on its machine translation tool and the trend for insource machine translation versus outsourced machine translation. CAT tool training has been identified as a major training and inadequacy gap at academic institutions which offer translation courses and are training future generations of translation professionals. In order to tackle this issue, the European Language Association of Translation Companies (ELIA) has set up a collaboration program headed by Anu Carnegie-Brown from STP Nordic, which will start with Finnish Universities. Françoise Bajon, president of ELIA, provided interesting figures from a general poll in Europe of which the translation industry is no exception. The poll, conducted amongst 5,300 youth, 2,600 employers and 700 post secondary-education providers points to sharp different perceptions from the three stakeholders (employers, students and education providers). Whilst the “end beneficiaries” of the human resources produced by academia and other educational establishments are convinced (74%) they are providing good training, both the youth and the employers (38% and 35% respectively) say otherwise: young generations are not properly trained to do the work they have qualified to do. The needs of many industries (including the translation industry) are not being met, particularly when it comes to tool training. Thus, the sessions moved to a series of computer assisted translation presentations, with useful feedback from the audience. The general opinion by the translation companies in the room was that few companies consider the effort required in internationalization, assuming this will only be a translation of the original text. Most websites, however, use content management systems or publishing programs like Drupal, WordPress, etc. 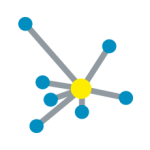 Computer assisted translation tools have developed connectors for the most popular ones, but it is clear it is impossible to connect to all publishing systems. Some organizations are working towards a standard, but publishing from CMS systems is still assumed and designed to be in many cases, a monolingual task. The adoption of the best technical processes often also relies on cooperation between the client and the solution provider. Hans Fenstermacher, the representative from GALA pointed out that the attitude of partnership in reaching the optimized end result is essential in this area as the way to solve one of the thorniest and most difficult challenges for the translation industry. MemoQ’s presentation was particularly enlightening since the company has worked on file interoperability issues to solve many file conversion challenges, whilst Plunet’s demo on project management was also very helpful. Across also got thumbs up for their work on flexible licensing. Some translation companies presented their efforts and developments working with larger Multilingual Language Vendors like Welocalize (Raymund Prins from Global textware). Stefan Gentz from Tracom and Jesper Sandberg from STP worked as joint masters of ceremonies throughout the event. 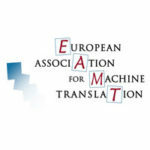 Machine translation was high on the agenda – particularly how it can really be applied to work at translation companies. There were several use cases and presentations from Harald Elsen, Delta International CITS, about customization for IBM Germany, from Juan Alonso from Lucy Software and Services into the Iberian languages and of course our Pangea Machine Translation system, dealing with how the adoption stage is now over and companies increasingly view machine translation as just another tool – the argument moving quickly from adoption to either insourcing or outsourcing machine translation. Excellent organization skills by JABA-Translations, despite the initial wifi connection problems. A lot of hard work and planning are required for an event which means testing an LSPs resources to the limit. It was a very good idea to bring together heads from ELIA and GALA, clients and partner companies across Europe.